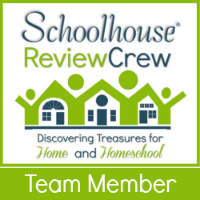 Each year, as a member of the Schoolhouse Review Crew I’m given access to the Yearly Membership from SchoolhouseTeachers.com. This website is treasure trove of fantastic homeschool courses and resources for any family. This website could simplfy your planning, streamline your homeschooling budget, add some spark to your homeschooling curriculum and so much more. With over 200 courses for children in preschool to twelth grade and resources for parents there is quite literally something for everyone. It has been a few years so I wrote my won review of SchoolhouseTeachers.com. I think it’s time for an update. Let’s start at the beginning. When trying to get the most out of a resource the size of SchoolhouseTeachers.com a great navigation system is a must. Thankfully the website is logically set up with a clean interface and a great menu bar that appears on every page. The courses are sorted by grade or subject. It is very easy to drill down to find just the sort of class you are hoping for. Big, bright, yet simple graphics also help those of us who really work better with visuals zero in on our intended destination. There is so much content that you’ll likely be forever discovering new courses and resources that you were never aware of. However if you have something somewhat specific you’d like to use it won’t take more than a few clicks to get there. What subjects are covered at the SchoohouseTeachers.com? I’m glad you asked! Here they are! It is really quite possible to get all of your curriculum straight from SchoolhouseTeachers.com if you’d like to. If you did you’d save quite a bit of money over many other curriculum choices. Each one of those categories represents dozens of courses for every age. Let me give you one tiny example. Let’s say you are looking for something under the Language Arts subject for your Middle Schoolers. Just take a look at all of the course opportunities you will find! You’ll find a list of classes like under ever subject and grade level. Pick and choose according to your child’s needs and interests. There are other “Must See” sections too! There is a plethora of resources for parents including planners, checklists of all kinds, achievement certificates and so much more. Who are the teachers that create the courses? There are over 100 men and women who create the SchoolhouseTeachers.com courses. You can see exactly who they are and the courses they’ve created by clicking right HERE. As I read through the list I see a few familiar names from the larger homeschool community. I’ve heard some of them speak at conferences or I’ve even had the chance to review some of their other homeschooling materials. I see a lot of homeschooling mom’s and dad’s. I see people who hold degrees or experience in the subject area for which they create courses. I see quality people who know their stuff. What kinds of courses are my own children taking? In my family we use SchoolhouseTeachers.com to easily fill in any gaps and to create opportunity to study our interests. For example, we often take a break from our regular math curriculum and use some of what is offered in SchoolhouseTeachers.com Online math practice is great for just what it states… practice. Multiplication Workshop helped my 8 year old zoom right through that subject. All 3 of my school aged children (their ages are 5, 8, and 10) use the copywork for handwriting practice. I love how easy it is to print off what I need at a moments notice. Lately my 5 year old has been exploring the art section. She dreams of being an artist when she grows up. We have been studying to some famous painters. This is a delight to her. My 8 year old is currently working his way through the Middle School Computer Science class where he is learning basic website design with HTML, programming concepts, Minecraft Mods, writing Java programs in Eclipse, and much more. He does have some experience with some of these topics already however I would not have thought to buy him a Middle School level program. Since we had access to one with an additional charge I saw no harm is letting him give it a shot to see how it goes. So far he is excelling. This is one place where SchoolhouseTeachers.com really shines. We can experiment with our interests without risking loosing money or resources. If it had turned out he wasn’t ready then that would have been just fine. My 10 year old is currently taking a Drawing with Realism class also meant for Middle Schoolers. This is a video based course and he enjoys the opportunity to watch the same videos over and over as he practices his technique. He may take a very long time to complete this course and that is absolutely fine. He’s also been able to keep moving ahead with his guitar playing as there is a course for that too. This is just a small snippet of how my family uses SchoolhouseTeachers.com. We are constantly shifting around through the website discovering some thrilling topic we want to dig into. This is such a risk free way to really explore so many topics. I would be remissed if I didn’t touch on this subject. When you subscribe to SchoolhouseTeachers.com you also get access to RightNow Media. There isn’t enough space in this review for me to give adequate justice to what this resource is. There are over 10,000 video resources for children and adults. For adults you’ll find video studies and information from Francis Chan, John MacArthur, Dave Ramsey, John Maxwell and others. For children you’ll find VeggieTales, Adventures in Odyssey, What’s int he Bible for Kids and SO MUCH MORE! My own church uses RightNow Media for many of our small group Bible studies. This alone makes SchoolhouseTeachers.com such a treasure. What I’ve written here barely scratches the surface of all that SchoolhouseTeachers.com offers. My words do not do this resource justice. The cost of this writing is $139 a year and it is worth every red cent. While I realize I have been blessed with a free subscription, even if I had paid full price for it, this resource saves me hundreds. The ability to try out new interests without having to find a class and shell out the bucks to see if it is a fit for my child is priceless. Being able to supplement, add to, or just jump into almost any topic we wish to study without hunting down resources is also priceless. However, for the month of January there is a spectacular deal. You can subscribe to a year of SchoolhouseTeachers.com for half off! Just use the coupon code CREWFOLLOWER at checkout and you are good to go! What a stupendous deal! I hope you’ve found my review helpful. If you’d like to see read other reviews of SchoolhouseTeachers.com please click below. Tapple is an exciting word game that had everyone in my house shouting, laughing, and jumping up and down. This game is for anyone ages 8 and above and should be played with at least 2 players. The game is very straight forward with simple and easy to understand rules. There is a stack of double sides cards. Every card has 4 categories on it. On one side you’ll find red and yellow categories which represent more challenging topics. The white and blue side represents easier topic that might be more suitable for a younger player. The first player to go chooses a card and topic on the card. He or she then hits the red button in the center of the wheel starting a 10 second timer. The player has 10 seconds to push a letter button and name something that begins with that letter that is related to the category. For example, when given the category “Musicians or Musical Groups” my son hit the C button and hollered Clint Black! The player then hits the red button restarting the 10 second timer for the next player. If a player is unable to come up with an answer before the timer dings he/she is out for that round. The last person still playing earns the category card. Another player chooses another card and game play begins again with all players. The first person to earn 3 cards is the winner. This game is exciting. It is fast paced. It brings out a lot of thinking skills. As the letters are pushed down that letter can’t be used by another player. This means as the game goes things get trickier. You might have to get creative with your answers. For example, if you are given the category of Vehicle you could name vehicles or you could choose words related to a vehicle, like Junker. We love this game. Absolutely LOVE IT! You do need a couple of AA batteries to play. I like that there is a little holder for the cards on the backside of the wheel. It just simplifies cleanup and storage. This game really gets the brain firing. Speed, memory, recall, and letter sounds are very important. If you like raucous games this one is for you. Wonky is a totally different game that involves strategizing, problem solving, and fine motor skills. It is a card game and tower building game in one. This game is also meant for ages 8 and older although with a bit of help my 5 year old was able to participate as well. Wonky also requires at least two players. To play the game every player is dealt 7 cards. Upon their turn the player chooses a card to play. Each card displays the directions for adding 1 cube of a certain size and/or color to the tower. Every cube is a little bit “Wonky” as a couple of the sides have a curve to them. This means when you stack them it is highly likely the tower will fall. The goal is to choose a card that allows you to play a cube that will stand steady for you but make things difficult when your opponents add their cubes. If the tower falls on your turn you’ll need to pick up 3 cards. The object of the game is to use up all of your cards first. This game builds a lot of anticipation. My children were bouncing up and down waiting to see if the tower would teeter. It took a few rounds of the game for them to pick up on the idea that they could choose to play cards that made things tricky for others, upping their chance of winning. Once they did figure the game went from something of a puzzle game to fierce competition. The laughs never stopped though. I appreciate how this game came with a handy carrying bag. All of the blocks, cards, and directions fit well inside. This makes this game pretty portable. I do believe we’ll be taking this one with us on an up coming trip. It’ll be a great way to pass the time in the hotel room as we wait until it is time to head out some place. We really enjoyed both of these games. They are simple but absolutely engaging, challenging, and fun. They are perfect for game night, a rainy day, or when a break is needed from the school work. They’d make fantastic Christmas or birthday presents for anyone who enjoys games. These two are definitely winners.